All-Star 1981-82 voted MVP,Captain,3goals 2 asst. 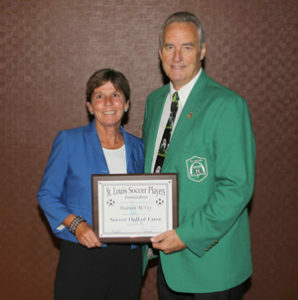 Donor of the trophy bearing his name, along with the Missouri Athletic Club, that is given each year to the outstanding male and female players in American College Soccer. 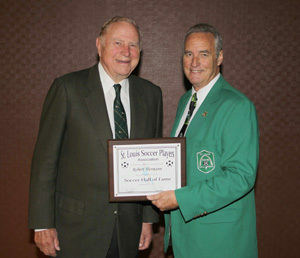 Mr. Hermann was owner of the St. Louis Stars and California Surf of the North American Soccer League from 1968 to 1980 and chairman of the NASL’s executive committee. 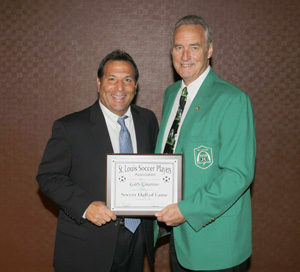 He was involved in the formation of the National Professional Soccer League in 1966 and one of the leaders of that league until it merged with the United Soccer Association in 1968 to form the NASL. 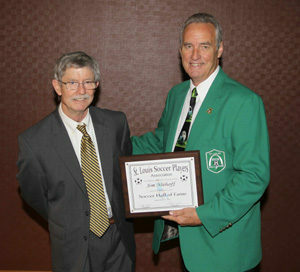 Through his generosity, in 1999 the stadium and field on the campus of St. Louis University was completely remodeled and was rechristened the Robert R. Hermann Stadium. 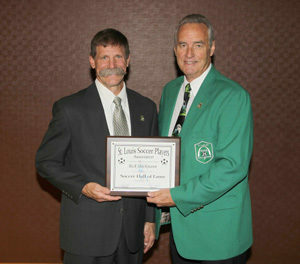 For these and other contributions to the Sport of Soccer, Mr. Hermann was inducted into the United States Soccer Hall of Fame in 2001. Mr. Hermann is a founder of Hermann Companies Inc., which is based in St. Louis and through its subsidiary manufactures and markets plastic packaging products food service, retail, and food processor industries. 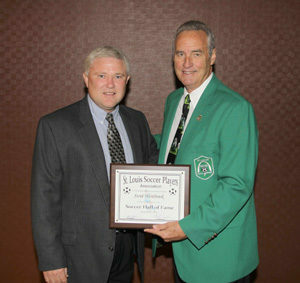 Mr. Hermann founded the original Veiled Prophet Fair (now Fair St. Louis) in 1981. 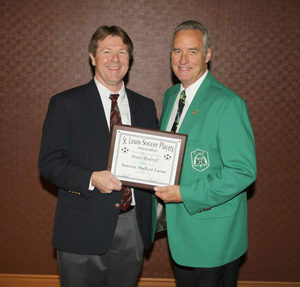 Founder and Honorary Chairman of “A Tribute to Our Troops Festival in Forest Park”. He served in the U.S. Navy in World War II and saw action in the southwest Pacific Ocean on the flight deck of the Savo Island, a small aircraft carrier. 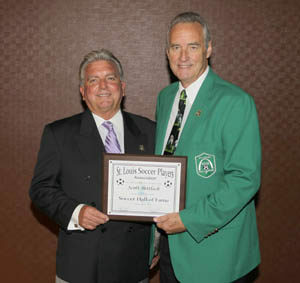 In addition to running Hermann Companies Inc., Mr. Hermann is a civic leader and was recognized for his services to the St. Louis Community when named Citizen of the Year in 1999. He serves as director of Hermann Companies Inc. Mr. Hermann also serves as honorary chairman of Hermann Companies Inc. and previously was its chairman. 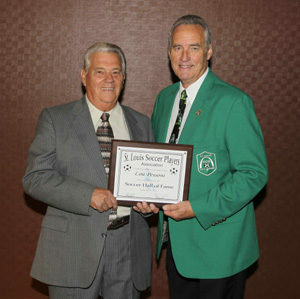 He has been active in philanthropy since 1957 when he helped organize the first charity polo match in Ladue. 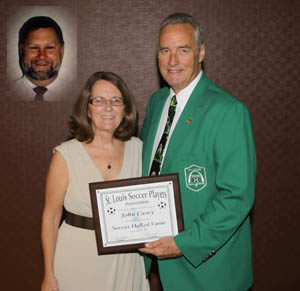 John spent a lifetime as a youth soccer advocate and coach. 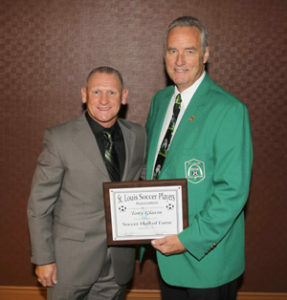 He was a key figure in developing top-level girls’ players at JB Marine Soccer Club and served as the Missouri Youth Soccer Association’s coordinator for its Olympic Development Program. 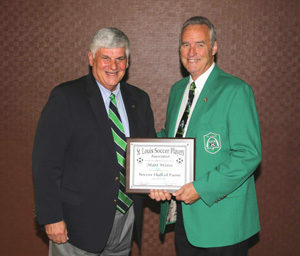 John played at Benedictine College and was head soccer coach at Mc Kendree and Benedictine. He passed away in May of 2010.